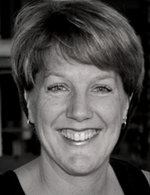 Karen has worked as a primary health care nurse and nurse manager in general practice since 1998. Her roles include acute care, preventative health and chronic disease management, care coordination, data management, accreditation, administration, staff training and mentoring. Karen has recently moved into practice management. 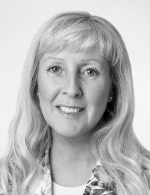 Karen’s true passion is preventative health care and utilising surveillance and health checks to identify health problems so that care can be initiated early to prevent damage to a person’s health and wellbeing. Key to this is the development of systems to utilise skills of the whole general practice team to support health prevention activity and care. Karen has participated in advisory groups for APNA, Australian Medicare Local Alliance, Nursing in General Practice Program, New South Wales Health, Royal Australian College of General Practitioners, Practice Nurse Clinical Education, and Sydney University, and Health Pathways Advisory Group for Inner West Sydney Medicare Local/Sydney Local Health District. 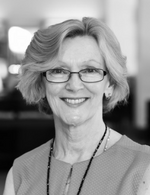 Karen holds several committee and advisory group positions at Australian Government Department of Health level including the General Practice Roundtable, the National Immunisation Committee, the Advisory Committee for Safety of Vaccine (Ministerial appointment). In 2014 Karen participated in several advisory groups for the RACGP including the Pandemic Taskforce and the review of the Pandemic Flu Kit, the Infection Control Standards and Quality Health Records. Melissa has worked in nursing for the majority of her career, with qualifications and experience in emergency and intensive care and general practice. Mel’s passions include promoting the positive impact of nurses in improving health outcomes and the important role they play in chronic disease management and preventative health. She also has a thorough understanding of the challenges faced by primary health care nurses in both urban and rural settings. Currently Mel is involved in the support and evaluation of primary care as Team Leader with the Hunter New England and Central Coast Primary Health Network. Working in the Practice Support and Development Team she is committed to increasing the profile of PHNs, and ensuring that all general practices understand and appreciate the value of nurses in the primary care setting. She also educates PHNs in their role implementing alternate models of care. Prior to joining APNA’s Board, Mel has been involved with APNA’s Education Endorsement Program, APNA’s Conference Advisory Committee and represents APNA on the Decision Assist Advisory Group on Palliative Care. 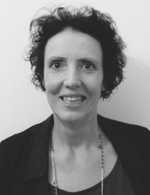 Helen Storer has been working the dual role of practice manager and practice nurse for 29 years in general practices and group practices across rural and urban within Australia. During her career, she has completed her Community and Child Health Diploma and the Train the Trainer Program, and has spent many hours enhancing her skills through professional development courses. For the last two years, she has mentored four general practice nurses within the Transition to Practice Pilot Program building on her history of informally mentoring other practice nurses. She has also presented on risk management and infection control at the APNA Foundations of General Practice Workshops. Under her leadership, her current practice is engaged in the Health Care Homes pilot program, the Staree Dementia Research Program and are about to complete their seventh accreditation cycle. Growing up in rural Western Australia, Helen understands the challenges rural practice nurses face across Australia—from isolation and limited health resources to the lack of supporting services—and she is eager to expand the professional role of the primary health care nurse in Australia. 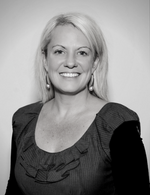 Christine is the Chief Nursing Officer at Correct Care Australasia (CCA), a private healthcare provider delivering primary health care to approximately 6,000 prisoners across 15 prisons in Victoria. Christine is a registered nurse with 35 years’ experience working in diverse roles in the public and private healthcare sector, including executive positions, managing major departments, leading multidisciplinary organisation-wide projects, and line responsibility. She holds a Diploma of Nursing, a Bachelor of Nursing Administration and a Masters of Health Administration. Christine has been working in correctional health for the last eight years and has responsibility for clinical operations and policies, quality and professional conduct of nurses and chair CCA's Clinical Governance Committee. Her areas of interest and experience are consultative leadership, developing the professional role of nurses and facilitating quality care to patients. Christine admires the commitment, resourcefulness and autonomy of the primary nurses' role and as a Board Director is committed to ensuring the ongoing respect, recognition and a broad career pathway for primary health care nurses. She will continue to contribute to, and influence, the significant and rapidly growing area of primary nursing and to the ongoing good governance of APNA. Denise has been a registered nurse for more than 30 years and gained endorsement as a nurse practitioner five years ago. She has worked in a variety of primary health care environments and has held clinical, managerial, educational, advisory, and clinical governance roles. As a nurse practitioner currently working in the general practice environment and as a clinical editor developing health pathways, Denise has continued to embrace teaching and learning opportunities. She has a passion for patient education and empowerment and recognises the importance of high performing teams in improving health outcomes. Denise is an appointed member of the Clinical Council at Hunter New England Central Coast Primary Health Network and a member of the Nurse Insight Group and Choosing Wisely working party at NPS Medicinewise. 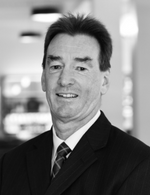 Maurice held senior executive positions within Australia Post, at both a State and National level for over 15 years. During this time he successfully applied a broad range of leadership and change management skills to a variety of senior positions including Deputy General Manager Retail NSW/ACT, Manager Delivery NSW/ACT and Manager Workforce Capability Unit Mail & Networks Division. He particularly utilised his strengths in Change Management, People Development and Profit Centre Management. Dr Anthony (Tony) Hobbs is a former Deputy Chief Medical Officer of the Commonwealth Department of Health. Tony was previously the Principal Medical Adviser at the Therapeutic Goods Administration from Feb 2013 – May 2015. He was a General Practitioner in rural New South Wales for nearly 20 years, delivering comprehensive coordinated care to the local community. He is a former Chair of the Australian General Practice Network. He has also worked in remote health services in the Northern Territory and in Swaziland, southern Africa and in the NHS in the United Kingdom. Tony has made a significant contribution to Australia’s health system as Chair of the External Reference Group which developed Australia’s first national Primary Health Care Strategy in 2009. He was also part of a group that provided expert clinical advice to the National Chronic Disease Strategy in 2005. 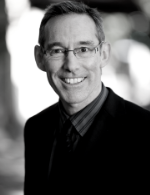 Tony has had extensive experience on boards, committees and advisory councils including the National Health and Medical Research Council, cancer, diabetes and kidney health advisory groups, and has worked with the National Prescribing Service on its diagnostic evaluation advisory group. Tony has a First Class Honours Medical degree from the University of Sydney and postgraduate qualifications in Obstetrics and Gynaecology, Child Health and Tropical Medicine and Hygiene from Australia and the United Kingdom. Tony is also a graduate of the Australia Institute of Company Directors.